Napoleon Hill Yesterday and Today! 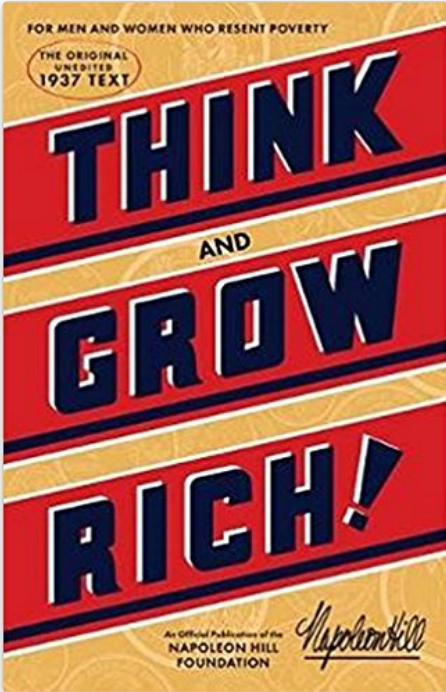 THE BOOK: Think and Grow Rich: The Legacy is the essential modern companion to the bestselling self-help book of all time, Napoleon Hill's 1937 classic, Think and Grow Rich. 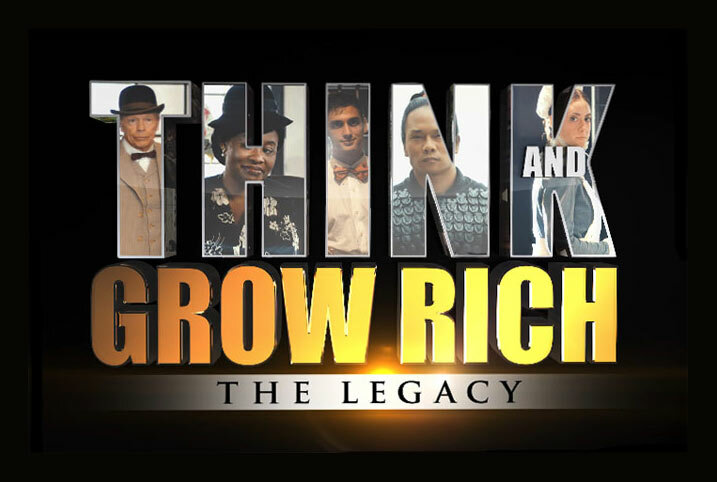 This book, released in conjunction with the major motion picture, Think and Grow Rich: The Legacy. Readers will be inspired through unflinching accounts of some of today's most successful entrepreneurs, thought leaders, and cultural icons who rose above the unlikeliest and in some cases, most tragic of circumstances to find personal fulfillment and make their mark on the world. 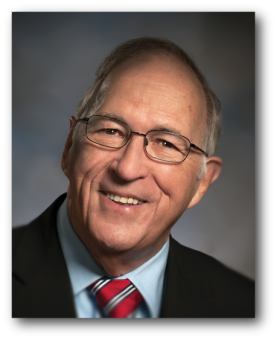 Have you been inspired by Dr. Hill's words? 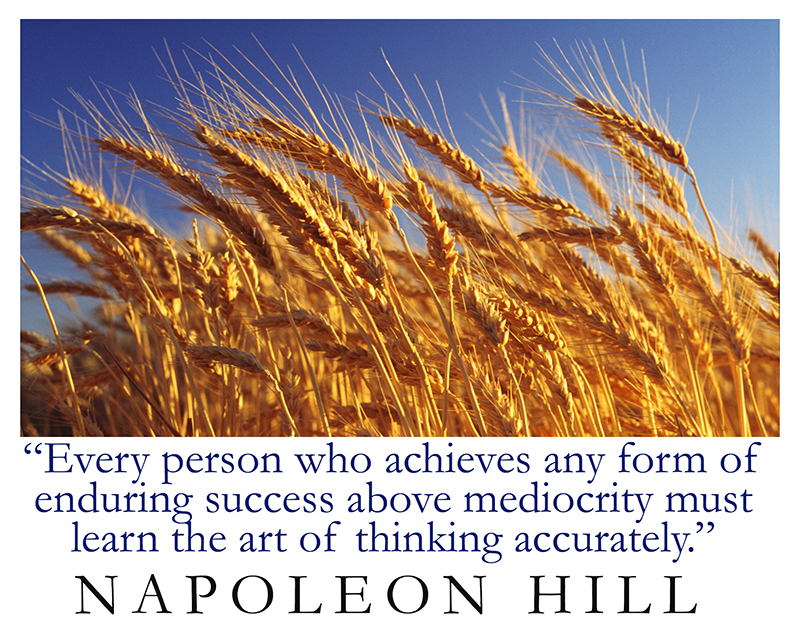 Subscribe to Napoleon Hill's Thought For The Day. ¿Le gustaría recibir la "Reflexión del día" en español de la Fundación Napoleón Hill? Haga clic aquí. 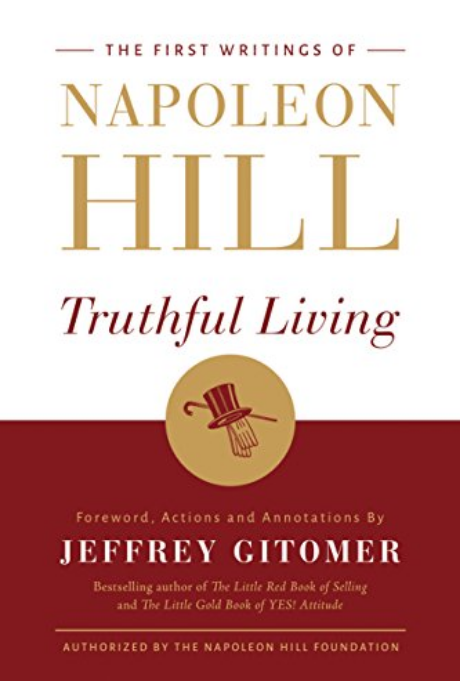 When Napoleon Hill wrote about accurate thinking, he would often compare the human mind to a rich piece of soil. Through planning and hard work, a farmer can cultivate the land and turn it into an abundant and prosperous harvest. However, if the soil is not properly tended, then the land will become worthless and full of weeds. In much the same way, if we fill our mind with accurate thinking and positive thoughts, we will have great results just like the abundant fields of grain at harvest time. But if we fill our mind with inaccurate and negative thoughts our minds will resemble a parcel of land that is worthless and full of weeds. 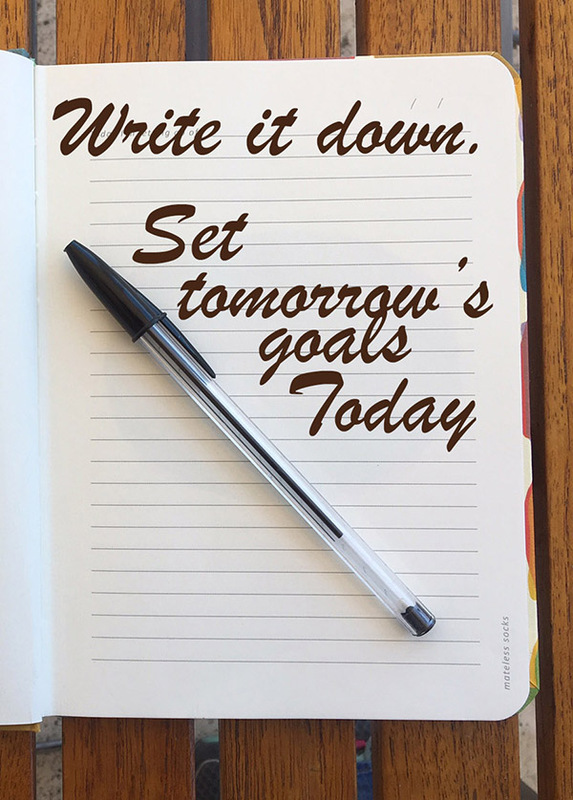 Each of us can take control of our thoughts and as a result, we can control our plans, accomplishments, and results. How you use your thoughts either good or bad, will determine the life you live. Accurate thinking must be applied to your life in order to get the abundant results you want. Humans have dominion over all the other creatures on earth because of our minds. Even though many animals have more physical strength than us, our minds are much stronger than theirs. We enjoy the amenities in life such as electricity, indoor plumbing, and air conditioning because inventors used their accurate thinking. Accurate thinking is greatly enhanced when combined with creative vision, positive mental attitude, and all the other success principles. Accurate thinking is very important to achieve any level of success. I wish for you an abundant harvest of riches as you apply the principle of accurate thinking in your life. In this lesson we shall analyze the mystery of all mysteries, the power of the human mind. It is one of the most profound subjects of this philosophy. It contains the key to the secret of all success and all failure. 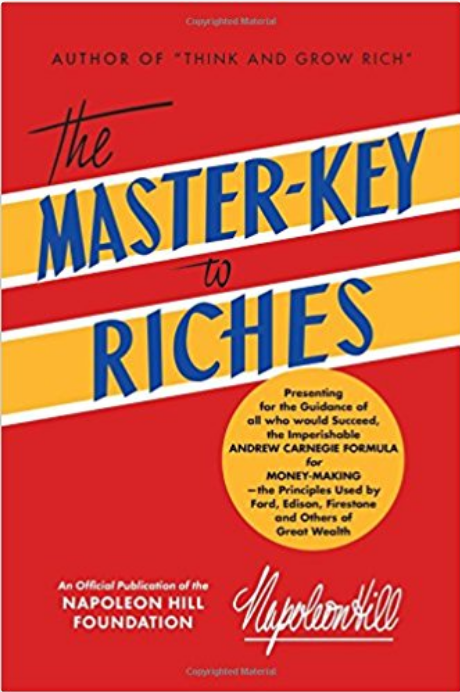 It is a principle which is on the must list of all who would attain the master-key to riches and gain entrance to the great estate of Happy Valley. It is one of the most important subjects known to mankind; yet, paradoxically, it is one of the least understood. The mind may be likened to a rich garden spot, the soil of which, by organized effort, may be converted into necessary and useful products, or by neglect may be allowed to produce useless weeds. The mind is constantly at work – building up or tearing down, bringing misery, unhappiness and poverty, or joy, pleasure or riches. But it is never idle! The mind is the greatest of all man’s assets, yet it is often the least used and the most abused. Its abuse consists mainly of its non-use. Science has revealed many of nature’s most profound secrets, but not the secret of mans’ greatest source of riches – his own mind and the thoughts it produces. This is one secret which has never been completely revealed to man, perhaps because he has shown such unpardonable indifference toward this divine gift of God. The power of thought is the most mysterious and the greatest of all powers available. It can be the most beneficial, or the most dangerous, depending upon how it is used. Through thought, men build great empires. Through thought, other men trample these same empires into dust. Every creature of man, whether it is good or bad, develops first as a thought pattern. All ideas are conceived through thought. All plans, purposes and desires are created by thought. And thought is the only thing over which man has been given the privilege of complete control. Through the ages, men have used the power of thought both wisely and unwisely. An unknown paper hanger sat moodily in a prison cell, pondering the strange experience of life which deprives some men of freedom and riches while others, with no greater ability or right to the blessings of life, acquire and hold the higher places in the world. The paper hanger was without influential friends. His education was limited. But something happened inside his mind which changed his brooding into a determination to free himself. He had begun to think! When the world heard of this paper hanger he had written a book in which he frankly revealed the inner workings of his mind, and put the world on notice of his specific goal in life. Some read the book and smiled tolerantly. Others did not bother to read it, believing it to be the work of a madman because its claims were so fantastic. And the next time the world heard of this “crazy” paper hanger, he had half of Europe under his heel and the other half frightened out of its wits and fighting for its life. He had set the world on fire, and the flames had reached out across the Atlantic and had begun to scorch the people of America. But the American people went complacently about their own business, believing the fire would burn itself out. Then came that horrible Sunday morning at Pearl Harbor – which forced us to recognize for the first time that the world was on fire and that personal liberty was being endangered throughout the world – by the power of this erstwhile paper hanger’s thoughts, implemented by action! Hitler found an opportunity to use his thought power destructively because so many others in the world neglected to use theirs constructively. Although his thinking was not accurate, it was extremely powerful because he followed through with plans and action and brought on World War II. Through the wise use of his power of thought another man also started at the bottom, without money, and without powerful friends. He created a great American industry that now gives employment to tens of thousands of men. His name was Andrew Carnegie. He learned and practiced, the art of thinking accurately and wisely. Thomas A. Edison used the same power to become one of the greatest inventors of all time. Henry Ford used the power of thought to cover the earth with his automobiles. Ford’s mind was precisely like every other normal mind, but he used his to think – not to harbor fear and self-imposed limitations. And the fifty-six brave men who gave birth to the United States of America when they signed The Declaration of Independence used the power of accurate thought so effectively that our country has become the richest and most powerful nation in the world. Have no illusions about this fact: Every person who achieves any form of enduring success above mediocrity must learn the art of thinking accurately. Without the support of accurate thinking, the Big Four principles of individual achievement would be useless. And the principle of personal initiative might be dangerous if it were not directed by accurate thinking. Source: PMA Science of Success. 1961. pages 297-299. As someone who enjoyed playing football myself and as a lifelong fan of the game, I have been distressed at the recent media coverage chronicling the domestic violence, substance abuse, and other criminal activities of players in the National Football League. Please understand, one instance of domestic violence, child abuse, or any other crime is too many, whether it’s an NFL player or you and me. I remain hopeful that the intense media coverage will not only prompt change in the NFL but more importantly, in our society as a whole. This morning, as is my habit, I listened to the satellite radio reports from The Wall Street Journal. Today they did a story that was first reported by Forbes that totally astounded me. I was prompted to check and recheck the facts before I shared them with you. According to Forbes, as reported by The Wall Street Journal, the average man in his late 20s is about nine times more likely to be arrested than an NFL player for any cause. Football players are more likely to be involved in a violent crime when they are arrested, but they are still less likely to be involved in domestic abuse or other violent incidences than the general public. I’m very hopeful that the NFL will take appropriate steps to clean up its own house and improve upon what is already a lower incidence of domestic violence and crime than the general public; however, there are two very important lessons to be learned for you and me. First, violence is not a desirable response or a solution to problems. Second, the media has the ability and willingness to magnify anything far beyond its normal proportion. While there are definitely improvements that need to be made in the NFL and among active players, we must not get so busy pointing our fingers at these high-profile individuals that we forget to look in the mirror at our own communities, families, and ourselves. Even when the media is fair and accurate, the intense nature of the spotlight that they bring to bear causes every situation to be blown out of proportion. The media can serve as a great indicator of society’s direction, but it rarely gives us an accurate measure of the real world in which we all live. As you go through your day today, learn the true lessons that the media can teach us all. Every person in the universe wants to hear YES! Every business and sales winner wants to hear one word: YES! Having and maintaining a YES! Attitude that's powerful enough to help anyone achieve the impossible is possible. When you've got a YES! Attitude, you assume everything will start with YES! …and you'll find a way to YES! even when the first, second, and third answer you hear is NO! You say you weren't born with a YES! Attitude? No problem! Jeffrey Gitomer will give you all the tools you need to build one and maintain it for a lifetime. 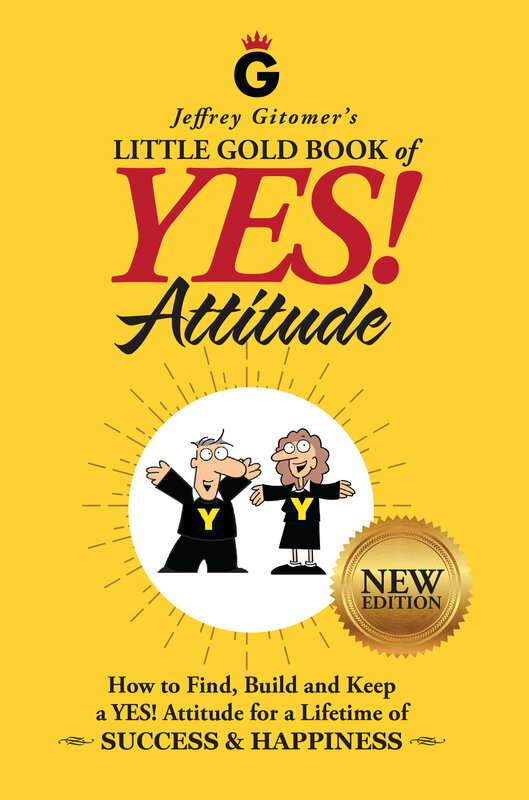 As the world's #1 expert in selling (and the author of the best-sellers Little Red Book of Selling and The Sales Bible), Gitomer knows more about attitude than anyone alive today. Now he's brought those lessons together in a book you can read in one sitting… a book that'll change your life! What makes this book for you? It's not just inspiration: it's a complete, step-by-step, fully-integrated game plan for understanding and mastering your attitude. You'll learn the 7.5 specific things you can do to maintain your intensity, drive, and commitment… discover 20.5 attitude gems that capture the value of thousands of dollars of books and courses… learn how to overcome the 10.5 most dangerous attitude busters … then learn how to maintain your YES! Attitude every day, for the rest of your life! Don't just read this book once: study it, live it — and win.